Ventilated climacool® keeps you cool and dry. Printed "Bayern München" across back shoulders. Mesh ventilation inserts. 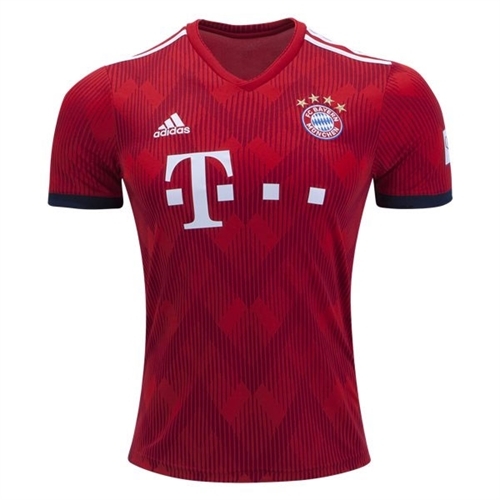 Our adidas Bayern Munich Home Jersey 2018-2019 is inspired by jagged mountain skylines of Bavaria and the diamonds on the club crest. The jersey has printed "Bayern München" across back shoulders with the Football Club Bayern München embroidered crest on left chest.